No, the home of the slinger is not on Irving Park Road. This magnificent abomination—in its most primordial form hash browns, hamburgers, and eggs, smothered in chili—was born somewhere, sometime in Saint Louis, where greasy spoons across the city offer it in all sorts of horrid mutations. Cream gravy? Topped with a tamale? Veggie burgers? Yes, yes, and yes. 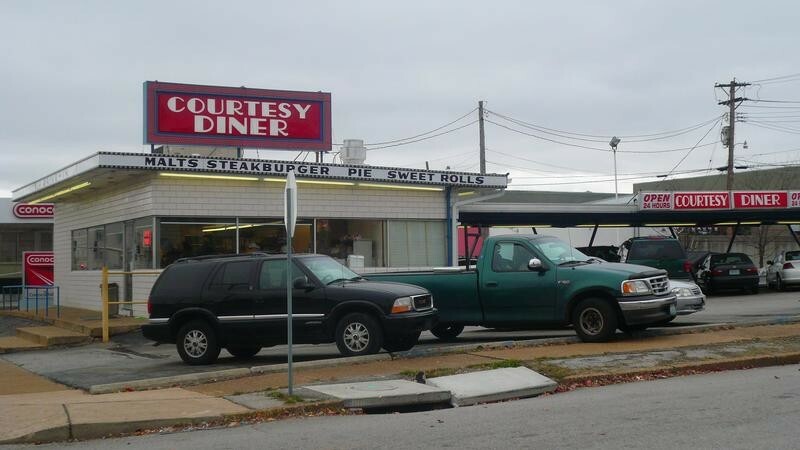 Visiting Saint Louis over the weekend for some friends' nuptials, I got a late-night rec from the groom, who steered me toward the Courtesy Diner precisely when I needed it most. But by morning the name and coordinates had been washed from the temporal lobes, two different breakfast plans flopped, and it was only after desperately tearing up the empty streets of the city looking for coffee that we stumbled upon Courtesy's pristine Kingshighway location (est. 1935) [pic attached]. The qualities of the slinger are probably best appreciated not in the harsh morning light, but in the unfocused, uninhibited predawn hours following, say, a wedding reception with an open bar. 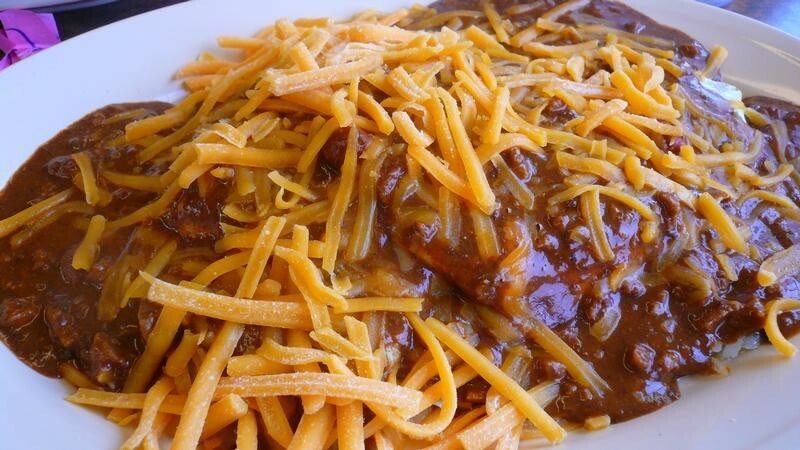 I'm told a "slinger master" rules the grill in the wee hours, and that may make all the difference, but this slinger—in spite of its dried-out shredded cheddarstuff—saved my life. Next time I'll stomach a Saint Paul sandwich.